THE Chenille Velvet Upholstery Drapery Fabric Leopard Panthera Print Allows enough sunlight to lighten up your places and gives a luxurious feel at your home. 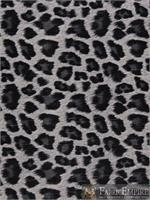 Put style on your home with this animal print fabric with Basic Solid with chenille detail pattern made from 100% Polyester. This fabric is very versatile and perfect for home decors, such as Upholstery, drapes and throw pillow cases. Fabrics are sold in continuous lengths. For Example: if you order 3 yards of a fabric that is sold as: 'Sold By The Yard. One Yard = 54" wide, X 36" long' You Will receive ONE piece of fabric, 54" wide by 192" long. NOT 3 pieces of fabric, 54" wide X 36" long. And so on. Price is by the running yard, so when purchasing, please remember to type the number of yards you need into the quantity box (on the top listing) and click Add to cart. This fabric is suitable for sofa/chair upholstery, bedding and Perfect for your curtains, drapes, costumes, head boards, window treatment, table clothes and other crafting ideas. Dry cleaning is recommended for draperies or curtain and sheers. For washing, hand or machine-wash on the gentle cycle, using cool water and mild detergent.